Essentially a record label, we’re very lucky to have some fine musicians in the outer radius of the Spinout family, and this is where we are able to help get their mighty fine work out to various ears around the world. It’s a vinyl affair, in short runs, and we welcome a listen to your work/s with a view to a potential release. We’re very pleased to share with you that the next release on Spinout Nuggets will be from The Treasures Of Mexico. 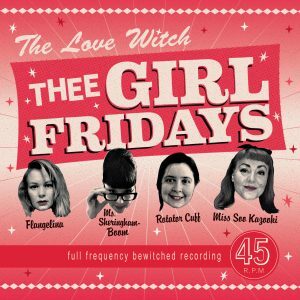 Did you get your copy of Edinburgh’s lo-fi, high-class, garage twang combo Thee Girl Fridays? A three track EP, wrapped in a sleeve masterly decorated by Chris Taylor. These previously digitally presented tracks were taken back to the studio (Ravencraig Studios), and finely tweaked by the girls and twiddle-expert Angus McPake. Listen out for The Underground Route, with Andy Holmes, and you'll hear The Treasures of Mexico. All aboard!!!!! 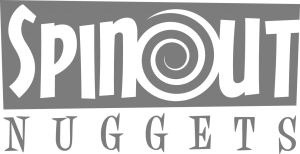 Spinout Nugget releases available at Sound Preservation Society Records, from Saturday onwards! 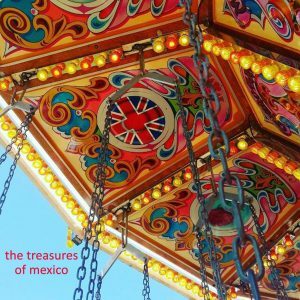 Whilst copies are flying out (many thanks for support so far), limited copies are still available of the 3-track 7" EP from The Treasures of Mexico! Once they're gone, they are gone! Tuesday is now known as The Treasures of Mexico day. Tune in to The Paul Groovy Radio Show from 8pm. There is now a stockist in Medway! Go and see Phil Jessop at Medway Record Centre, Canterbury St, Gillingham, for all your Spinout Nuggets needs, and much, much more! Thanks again to Gideon Coe for giving The Treasures of Mexico another spin on last nights show (The Last Thing), on BBC Radio 6 Music. Tonight’s vinyl, ahem, E.P. of the week is brand new from the Spinout Nuggets imprint... Be playing all three tracks tonight. Google NCB Radio to listen. Check out The Paul Groovy Radio Show from 8pm, and you’ll get to hear The Treasures of Mexico, amongst good company too. Or with TuneIn for mobiles etc. David Edwards knows his onions. Those fine chaps at Spinout Nuggets have done it again with yet another winner! Thank you Lee Grimshaw! 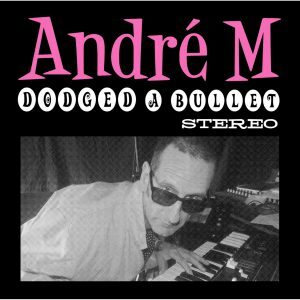 A big thanks to Keb Darge for opening up his Sixties Rebellion show on Soho Radio with the recent release from André M, a show full of many musical wonders, for your much needed listening pleasure! Hit the link below! Have we mentioned? 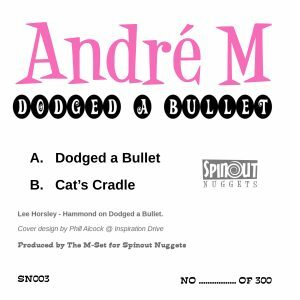 26th of November saw the third release from the label, this time from Hammond-fuelled, Funk-fired, Rhythm and Blues instrumentalist André M! It’s in the shop! Newsflash! 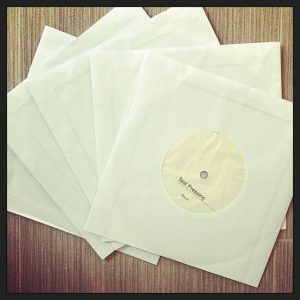 Test pressings are finally in for the next release on Spinout Nuggets. Naturally we are very pleased to be able to release it, so keep your eyes peeled for more info……soon! BIG thanks to Keb Darge for playing both recent releases from the Spinout Nuggets label on his show, on Soho Radio, from Medway’s Sergeants Mess and Edinburgh’s The Nettelles, in a row, very early in the show too! Check it out on the link below! Some very fine musical wonders in there! We’re really pleased to present to you the the new release from The Nettelles, on the Spinout Nuggets label, and it’s out now! We Are… is a double sided vinyl disc of Garage-Punk! 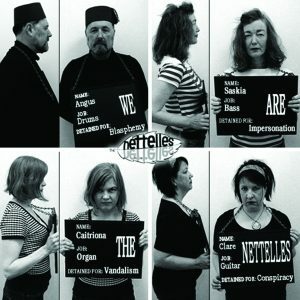 The Nettelles are a Garage Punk band based in Edinburgh, Scotland, who sprung up in 2016 after former Sally Skull members Clare and Saskia got together for a reunion. Following the reunion, they wanted to keep making music together and wanted to make it bigger and louder, and thus recruited close friend Caitriona on keyboards as she’d ‘always wanted to be in a band’, and enlisted Angus in for drums. The Nettelles was formed! Together, they make Garage influenced music and have also been known to cover songs by The Pandoras, The Brood, Shadows of Knight and Sally Skull of course. Head on over to our shop at https://www.spinoutproductions.com/shop/ for more info! 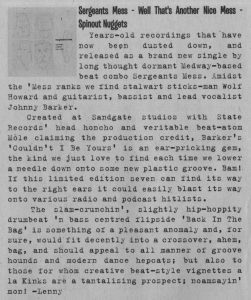 A mighty fine review of the first label release from Medway’s Sergeants Mess, in the latest edition of Bananas Magazine! Big thanks to Lenny the words. Order a copy at http://bananas-magazine.com/get-the-last-issue-/ or get it from your favourite label/distro in the next coupla weeks! Check out Shindig! 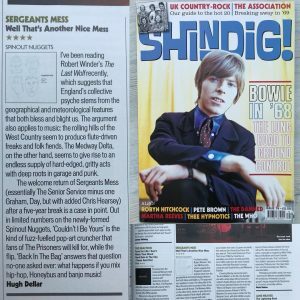 – ace to see a good 4-star review for the Sergeants Mess release on our Spinout Nuggets label, in the latest edition, amongst many other wondrous releases. Thanks Hugh. Get your copy now, both mag and seven inch! 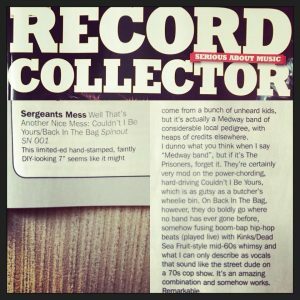 Check out April’s edition of the legendary Record Collector Magazine (page 113) for a neat review of the recent release from Medway Sergeants Mess, on our very own Spinout Nuggets label (recorded at Sandgate Studios with Mole on the control). Also sharing the limelight with the ace release from André Mon Crocodile Records too. Thanks RC, and thanks Russell Taylor for the heads up. 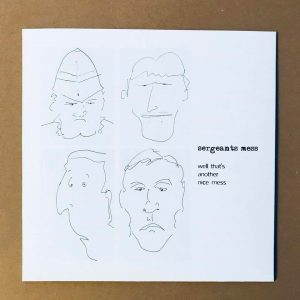 Always a pleasure to listen in on the ace episodes from the Retro Man Blog, full of mighty fine musical wonders old and new, complete with education based around these too, but this one is particularly special as Steve has also featured the recent release from Medway’s Sergeants Mess, released on our very own Spinout Nuggets label. And ace to hear Back In The Bag played too. Thanks for the support Steve Worrall. Mighty fine work! 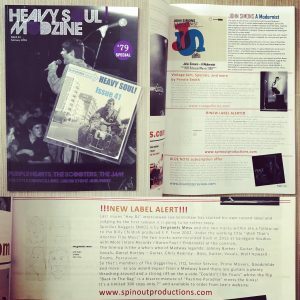 We’re very pleased to receive the latest edition of Heavy Soul Modzine today, not just for its fine, informative and desirable content, or its very well coordinated CD compilation, but also for the feature on our newly formed Spinout Nuggets record label, along with a mention of the first fine release from Sergeants Mess. The fresh release from Medway’s Sergeants Mess has made it to ‘Record of the Day’ at the mighty fine 50thirdand3rd – hit the link below. You can still get yours at the Spinout shop, and all good record outlets. 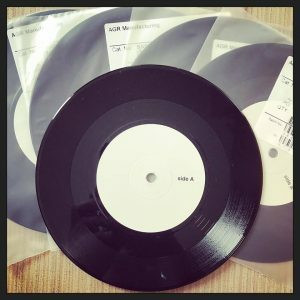 The test pressings are in for the first release on Spinout Nuggets from Medway’s Sergeants Mess.